Kyle Werremeyer (GMS) is a client relations manager here at Plus Relocation. In his role, he helps to keep client programs working on all cylinders while scanning the environment to identify elements that might impact them. Kyle has been analyzing client programs and pondering market conditions to consider what 2019 holds. He passed along this article, along with his thoughts below. "We know the economy is strong. We know the job market is booming. We know the housing market is outrageous...wait, no, the housing market is softening. What? Isn't relocation hard enough? As relocation professionals, we have people to move, houses to sell and costs to control as relocating employees look to start a new adventure. This can’t be happening! Why is this happening! Not again! But this is happening. And, this sobering article from the New York Times highlights that home sales are slowing, the rate that home values increase is slowing and that sellers are seeing an increase in marketing time while also having to reduce asking prices to find a buyer. 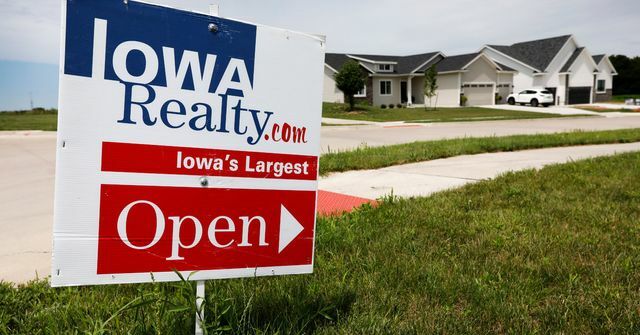 The article states, "Instead, the housing market has gone soft, acting as a drag on the overall economy rather than as a force propelling it forward." Add in a truly mobile workforce who values renting so as not to be “sticky” in a location or a job, high personal debt including student loans, large number of workers of home buying age working the gig economy for lower wages, and in some places the recent tax changes eliminating mortgage deductions. That adds up to less cash for a down payment or monthly payment from a new generation of millennial buyers further made shy by living through the last housing downturn and unwilling to pay increasingly higher percentages of their income for housing. And don’t forget a boomer generation looking to downsize out of their "McMansions," looking at smaller more affordable places to buy – or maybe just looking to rent in their retirement years. Not again – but yes, we could see a few years of buyer/seller standoffs – so make sure your mobility program has home sale and home marketing benefits that are robust. While you are at it, make your program owners aware that the real estate markets are slowing and that it likely will impact relocation spend and budget, and begin to engage in conversations on what you can do to be “out-in-front” of the impact of any potential housing downturn. There will always be buyers; but are you ready to find those future one-in-hundred buyers? The author leaves us with the big question of which will come first..."sellers who settle for less after recognizing that the price they thought they would get is beyond the reach of buyers, or incomes that catch up with a housing market that got a little ahead of itself?" These should be happy times for the housing sector. The economy is booming, with more people working at higher pay, and with the sizable millennial generation reaching prime home buying age. Instead, the housing market has gone soft, acting as a drag on the overall economy rather than as a force propelling it forward. Sales of new single-family homes were down 22 percent in September from their recent high in November 2017, and existing home sales in September were down 10 percent. This tepid residential investment subtracted from G.D.P. growth in each of the first three quarters of 2018. Home prices have not declined nationally, at least according to the most widely followed indexes. But their rate of increase has declined, and more and more home sellers are finding they must reduce asking prices to find a buyer. Though the economy is flourishing & more people are working at a higher pay, sales of new single-family homes were ⬇ 22% in Sept from their recent high in Nov 2017.